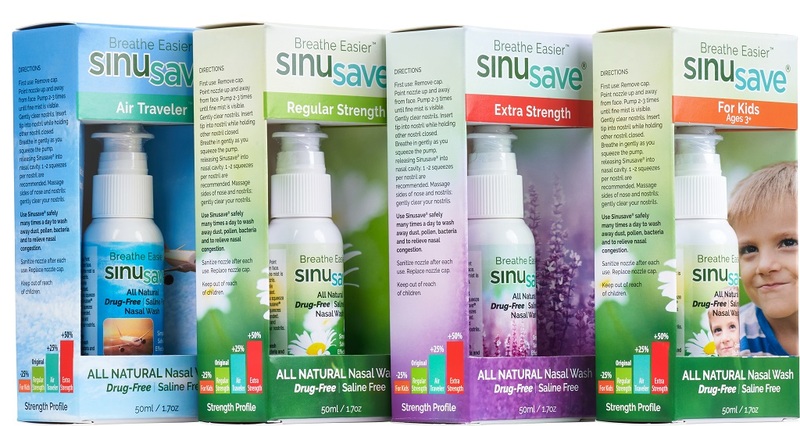 Sinusave Nasal Health, Inc. focuses on marketing and sales of its four formulations for a variety of nasal congestion issues; and ongoing R&D of all-natural products to aid consumer health & wellness. The problem we solve: Sinusitis affects about 1 in 7 adults in the United States, or 30-35 million people and is treated with OTC brands such as Afrin®, Dristan® and Sinex®, but they all contain HCL. A drug that causes “rebound effect” which means the more you use it, the more you need to use it which eventually causes addiction. Nasal hygiene category is growing significantly as people become more aware that keeping their nose clean is as important as the daily brushing and flossing of their teeth. About our solution: :SINUSAVE® can help relieve the nasal discomfort associated with sinusitis, colds, flu and pollution. The all-natural, drug-free nature of the product means that it can be used daily across the population to keep the sinuses clean and moistened, contributing to overall wellness without the rebound effect caused by products with HCL. Dozens of friends, relatives and acquaintances tested the formulations for 8 months prior to release for sale in April 2108. Consumers have purchased more than 4,000 bottles over the past 9 months. All report similar results...sinus pressure gone, headaches gone, sleeping through the night, not getting head or chest colds; and those who travel a lot on commercial airlines report far less dryness & discomfort during and after their flight. Yes, this is anecdotal commentary and not from formal studies...it is compelling none-the less. And an “inhaler” retailing for more than $78 per ounce! Clearly our customers are pleased to finally be able to use a true all-natural, saline free ABSOLUTELY DRUG FREE product available for @ $9 per fl. oz. MSRP. 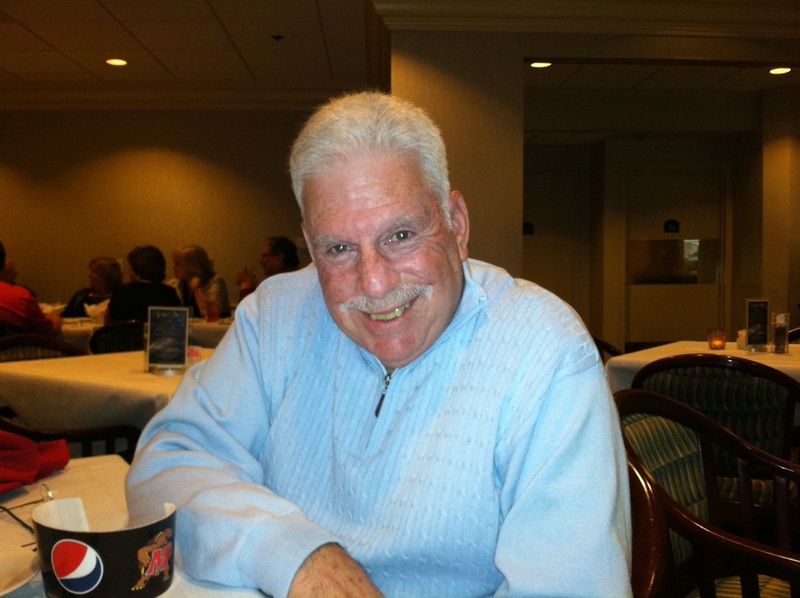 Bio: Founder and CEO of Sinusave Nasal Health, Inc. With more than 50 years’ experience in sales and marketing products and services to large corporations and retail consumers. Developer of four unique formulations of all natural drug free nasal hygiene spray mist for the entire family ages 3 and up. Our product helps relieve symptoms of colds, allergies, stuffy noses and chronic sinusitis due to seasonal changes, pollen and air pollution. SINUSAVE® is completely safe. It contains no addictive decongestants, no drugs or medicinal compounds. Four unique formulations address the needs of all age groups and can be safely used many times a day. Sinusave® is intended to be part of your daily personal hygiene, health & wellness routine to eliminate the need to spray decongestants containing HCl and cortical-steroids into your sinus cavities which can lead to rebound effect; effectively becoming useless for the intended purpose of relieving nasal and sinus congestion. The regimen of daily nasal washing helps clear infections and can help prevent infections from developing. Medical practitioners can do more for their patients suffering from sinus related infections, colds, allergies and pollution by trying a drug free natural alternative to drugs.SINUSAVE® can be the first line of defense in prevention. Do your lungs a favor...keep your nose clean! Less drugs proscribed for patients thus less incidence of resistance when drugs are the next line of defense. SINUSAVE® has been granted US Patent 7,029,705. Filing was completed July 30, 2003 and granted on April 18, 2006. Subject to any disclaimer, the term of this patent is extended or adjusted under 35 U.S.C. 154(b) by 51 days to September 20, 2023. No studies yet. That is part of the reason we need funding. We are an all-natural product. Sinusave does not qualify for an NDC because there are no pharmacologically active ingredients. Our development plans may require filing for an NDC due to FDA guideline revisions. Thus, there is no way to tell the exact direction we will take as a potential result of some natural ingredients being interpreted as pharmacologically active in the future. Regardless we are dedicated to natural health and wellness. I suffered nasal congestion most of my life. In 2006 I came across an all-natural spray. In 2 days I was “off’ Afrin, breathing easier, no longer waking with dry mouth, my sinus headaches diminished to almost nothing and the incidence of head colds went to near zero. 7 years later I obtained ownership of the intellectual property, began work to formulate into the existing product line. I have dedicated my company effort to bringing all natural non-drug products to market through continued R&D. Equity funds and/or grants will support retail sales, lab testing and begin formal trials to expand upon existing USP 61, 51 results, prove efficacy against colds and flu to foster our entry into homeopathic and possibly medical device categories. Target Market / Size: Drug Store News reports as of Feb. 2017, the nasal spray category revenue through pharmacy sales is $1.2Bn. Sinusitis affects about 1 in 7 adults in the United States, or 30-35 million people. Add in chidren over the age of 3 who suffer from nasal cogestion the number of sinus infections anually grows to more than 80 million. The nasal hygiene category is growing significantly as people become more aware that keeping their nose clean is as important as the daily brushing and flossing of their teeth. Annual revenue for the top five selling decongestant nasal sprays containing HCl exceeds $200M each. Sales / Marketing Strategy: Customers are currently purchasing through our Shopify website. Our Amazon and Walmart.com presense will be activated before the end of March 2019. The company will attend trade shows and deploy SEO and SEM strategies. Competitors: There are as many as 100 OTC brands identified by IRI, including Afrin®, Dristan®, Zicam®, Sinex® and Primatene®. Our barrier to entry is obtaining brand recognition and distribution in retail pharmacy and small indepenent natural product stores as well. Our plan includes contracting wtih a national sales force to position the brand with the category buyers in the 90,000+ retailers and wholesalers in the US and Canada. Customers - Current / Potential: The product is currently sold in 120 Ingles Markets superstores, Anthony's Health Hut & Restaurant in Lakeland, FL, Honey Bee Natural Foods, Brownwood, TX, Brookville Pharmacy, Brookville, MD & Chevy Chase, MD and Glen Echo Pharmacy (CARE) in Glen Echo, MD, and on the Sinusave.com web site. Our sales strategy is heavily focused on sales through our web site supported by a robust social media presense; Twitter, Facebook, Instagram, Pinterest, etc. and on retailers and wholesalers in the United States, including national customers in the Food, Drug and Mass channels such as Walgreens, CVS, Kroger, Albertsons/Safeway, Target and Walmart.